National History Museumis one of the largest history museums on the Balkans. 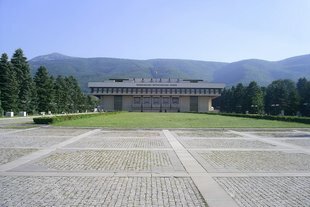 It is the largest museum in Bulgaria. It keeps cultural history of Bulgarian lands for 8000 years until today. At the museum you will see bone tools, gold masks, pottery, unique treasures of the Thracians, coins, icons, banners and many more unique exhibits. The major exhibitions in the halls of the museum are: Prehistory, Ancient Thracia, Middle Ages, Bulgarian lands during XV-IXX century, and the Third Bulgarian State. Read more about the National History Museum at the Official Tourism Portal of Bulgaria here.